I’ve found my new favorite rings! Abigail from Avaway! Elegant, simple, classy and feminine! I am usually not a fan of rings in SL, but I have been converted. Avaway have added a lot of new gem and metal colors to her HUD as well, which is awesome. ❤ Her products are so lovely and diverse too. *Avaway* Abigail Bracelets & Rings by Avaway – New @ FaMESHed. Later at Avaway main store. Truth Hair – Bloom by Truth Hawks – New @ Uber. =Zenith= Summer Beach Wear by Miffyhoi Rosca – New @ Collabor88. This beautiful new Mocap head from Genesis Lab called the Genus project is out as Beta release right now and is 2500L$ off currently. Buying this also secures you full release once it is out. I normally stick to one head, but I am in love. It’s gorgeous, and the HUD is amazing. Blueberry – Peachkini by Blueberryxx. GENUS Project – Genus Bento head – Mocap by Genusproject. Power Queen – Lisbon by Laciecarmell. Truth Hair – Fiji by Truth Hawks. PM . Monroe Set by Jaay Tiratzo – New @ Vintage Fair 2018. Meva – Erna Set – Blue by Mea Carnell – New @ Vintage Fair 2018. [Monso] My Hair – Zuyu by Morphine Janick. Birdy – Boudoir – Divider Screen (gacha) by Nina Helix. DRD – evening romance – whitetent by Jaimy Hancroft. Lakrya – Maitreya – Yasha Mesh Bracer by Klayra Ahren – New @ We ❤ RP. 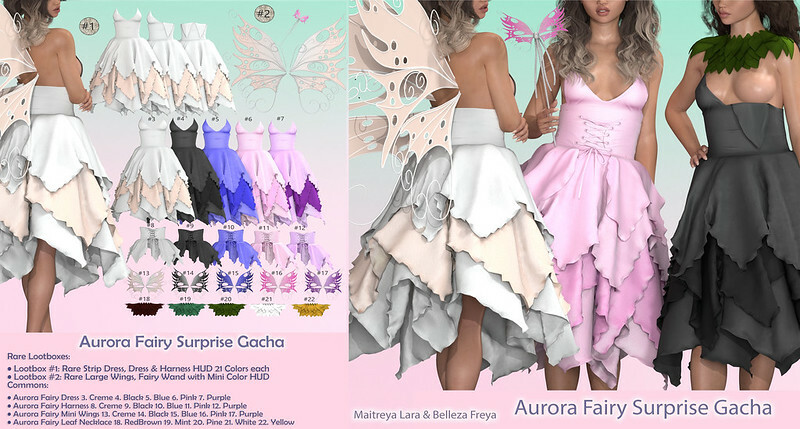 Una – Adara DressCloack A by Una Daxter – New @ We ❤ RP. Kaithleen’s – Vintage Romper Dot by Zlyskritek – New @ Vintage Fair 2018. Navzar – Tamara Lipsticks Palette by Navzar0701 – New @ Vintage Fair 2018. TRUTH / Lady by Truth Hawks.